In December 2017, the Nordic Journal of Human Rights published a special edition on election observation. 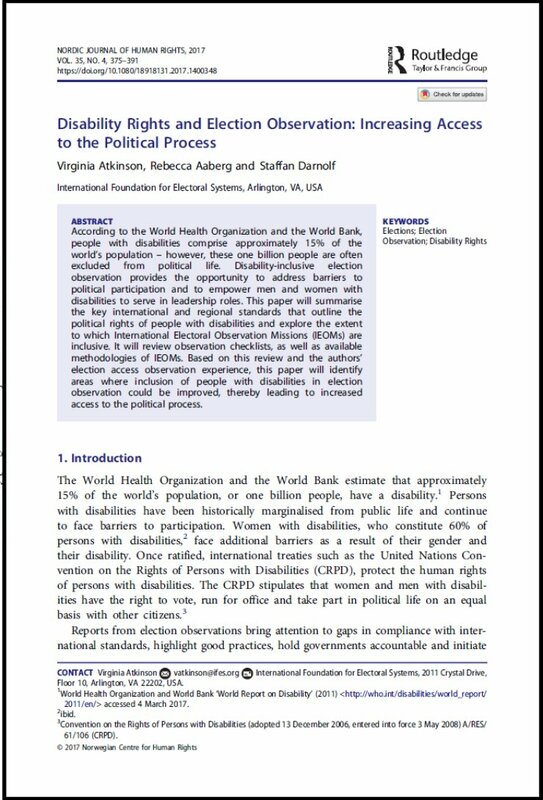 "Disability Rights and Election Observation: Increasing Access to the Political Process" discusses how international election observation missions (IEOMs) can be more inclusive of observers with disabilities and how observation recommendations can lead to a more inclusive process. This is an accepted manuscript of an article published by Taylor & Francis in the Nordic Journal of Human Rights on 15 December 2017, available online at https://t.co/oEbXkAivW1.